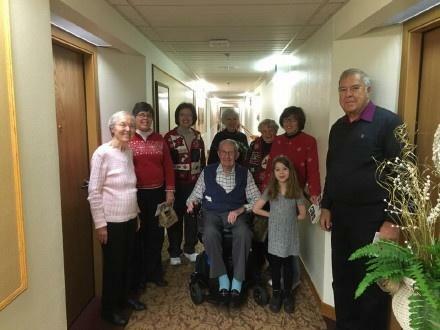 Vespers at West - an intentionally intergenerational service that includes a simple meal, time for fellowship, and evening prayers from 5:30-7:00pm at West Campus, 1702 West 15th Avenue, Wednesdays during Lent. 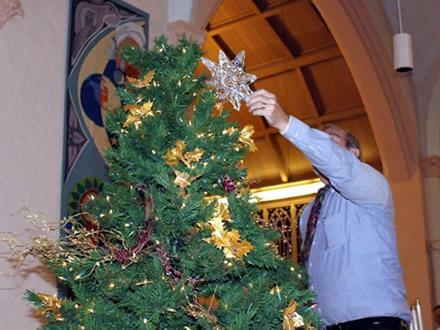 Quiet Side of Christmas - an open sanctuary time of quiet reflection and personal prayer from 12:00-1:00pm (with prayers offered by the pastor at 12:30pm), Tuesdays and Wednesdays during Advent at the Downtown campus, 802 Commercial Street. See the calendar for specific dates each year. We welcome and encourage children of all ages to worship with us. 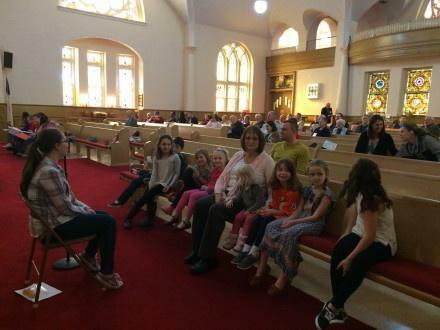 A special children’s moment involves our younger worshipers in each regular Sunday service. 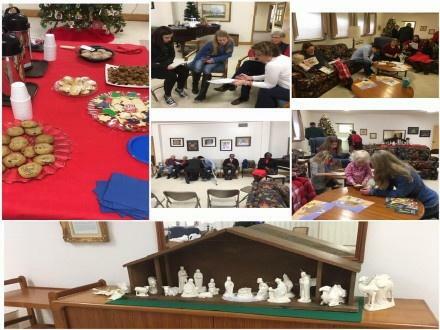 Kid’s choir, Youth Sunday, and other seasonal offerings provide leadership and learning opportunities during worship too. 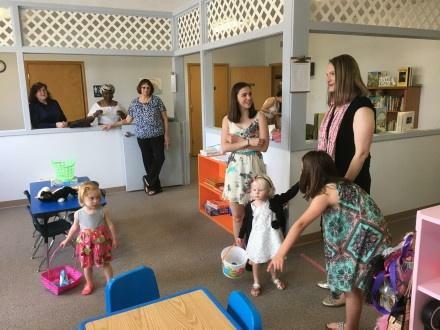 Children five and under can play in the nursery or stay in the sanctuary throughout worship as they and their adults are most comfortable. 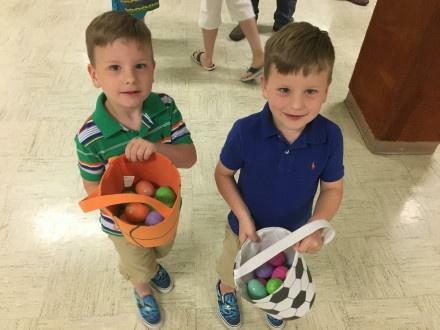 Emporia Presbyterian Church has a rich music program including chancel and kids’ choirs, bell choir, a recently renovated pipe organ, and instrumental talents all shared for the glory of God. 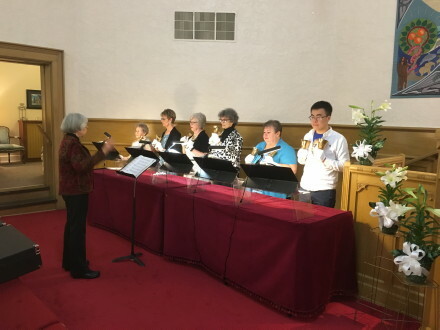 Chancel Choir is under the direction of Margaret Davidson and sings year round in Sunday morning worship, except while on recess in the month of July. The chancel choir also leads the musical portions of worship for special services throughout the liturgical year. Chancel Choir rehearses Sunday mornings from 9:00-10:00am. Kids’ Choir is under the direction of Margaret Davidson and sings seasonally in Sunday morning worship. 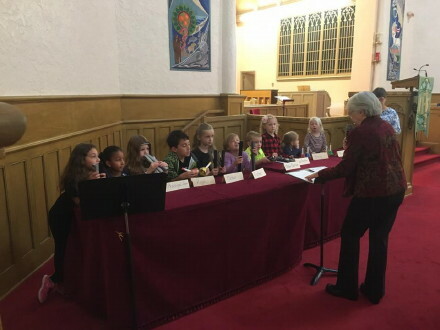 Kids’ Choir rehearses during the Sunday school hour, with each Sunday school class rotating through music at different times from 9:30-10:30am. Bell Choir is under the direction of Margaret Davidson and plays seasonally, particularly during Advent and Lent. Bell Choir rehearsals are held after Chancel Choir rehearsal as needed. 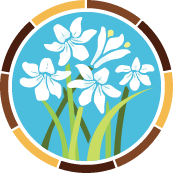 Ives Scholarship Choir Singers - Each year a small number of scholarships are given to music majors, minors, and/or singers in the Emporia State University a cappella choir who in turn sing in the Chancel Choir. Those interested may contact the choir director, Margaret Davidson. News reports from the spring of 1907 describe the installation of a pipe organ by the Estey Organ Company of Brattleboro, Vermont. 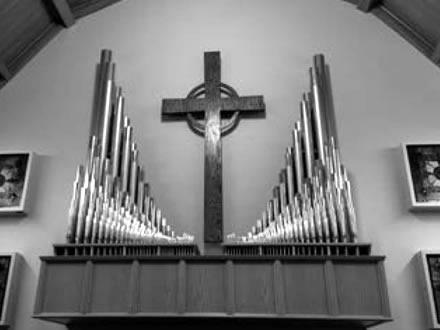 At a cost of $3,500 this instrument “is to be of the highest excellence and the most artistic in every way that is possible to build.” The organ was placed behind the pulpit on what is now the southeast wall of the sanctuary. The façade of the organ consisted of decorative pipes which did not produce sound but concealed the working pipes and windchests of the instrument. There were 963 working pipes. In 1953 the sanctuary was remodeled. The “beautiful dome” was sealed off by a lowered ceiling, and the focal point of the sanctuary was moved 45 degrees to the left toward the present chancel. The Estey organ was dismantled and stored until funds could be obtained for rebuilding. A rebuilding project began in 1955, and the reworked organ was dedicated in November of 1956. All the pipes and windchests were installed in a small room on the south side of the chancel, adjacent to the present position of the organ console. The instrument consisted of sixteen ranks of pipes. The contractor for rebuilding was Roy Barger of Emporia. In the mid 1980’s the organ began to develop increasing problems due to changes in the weather, water damage, dust and dirt, and age. The Session appointed an ad hoc Organ Committee to explore the situation and make recommendations. The committee consulted with several area organ experts and then asked William T. Pugh of the Top Rung Tower Chime & Organ Service of Lawrence to draw up some proposals. After receiving encouragement at a meeting of the congregation in January of 1989 the Session contracted for a complete renovation of the instrument and the addition of several new ranks of pipes. In 2014 a fund was started to repair and update the organ’s mechanical and electrical parts. In just over a year the funds were raised and in the summer of 2015, Doug Funston, of the Mid States Pipe Organ, Liberty, Missouri, completed the repair and renovation. These exposed pipes, four ranks added in the 1980’s, increased the sounds the organ could make and provided a musical focus point for worshipers. Photo by Regina Murphy/Emporia Gazette. September 2015. Bell choir. Easter Sunday, April 16, 2017. 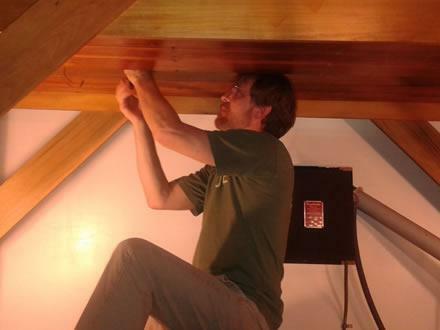 Doug Funston replacing valves in the wind chest. July 2015. 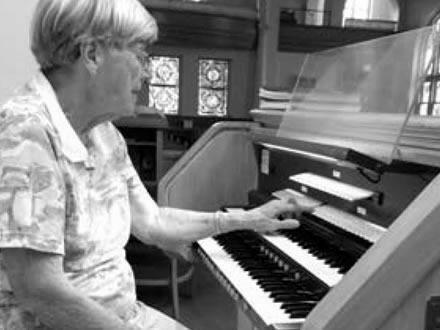 Mary Melhorn demonstrates how a stop on the organ is used to select the actual sound from a specific set of pipes. Photo by Regina Murphy/ Emporia Gazette. September 2015.